How can you make a needle float? Take a thin piece of tissue paper and place the tissue paper under the needle before putting the needle in the water. The tissue paper will eventually sink and the needle will remain floating. 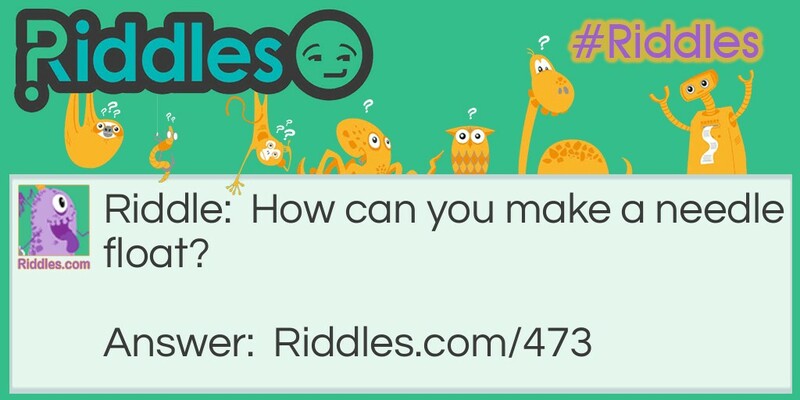 Needle Riddle Meme with riddle and answer page link.